From the church member in the pew to the average person in the street to the post-apocalyptic movie fan, everyone is asking, "Is the world about to end?" The coming and going of 2012 without the prophecy of the Mayan Calendar being fulfilled has only increased the interest in the signs of the end-times to a fever-pitch. But, ultimately, only the Bible can provide the answer to the question of when the world will be no more. 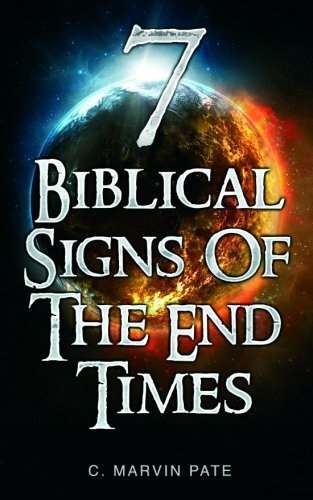 There we learn of the seven signs that signal the end of planet earth as we know it. Reading Pate's book will give you the inside scoop on God's unfolding plan and provide hope in the midst of a world that is falling apart. C. Marvin Pate (MA, Wheaton; PhD, Marquette University) taught for thirteen years at Moody Bible Institute. Now he is Chair and Professor of Christian Theology, Pruet School of Christian Studies at Ouachita Baptist University. Pate has authored, co-authored, or edited 25 books.